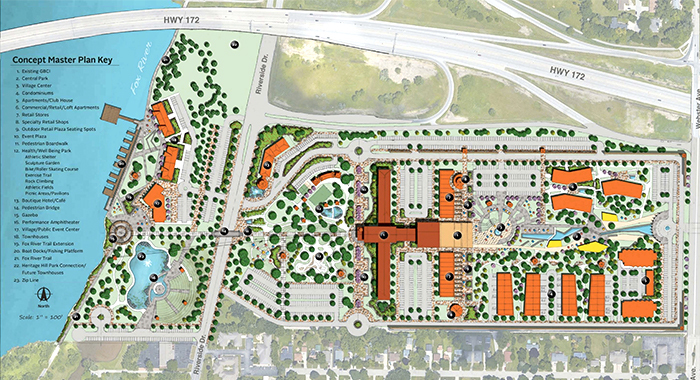 A St. Norbert College faculty-student team conducted an economic-impact study for one conceptual redevelopment plan created by local leaders and citizens in the Village of Allouez for the Green Bay Correctional Institution site. Repurposing a local prison site could yield $138.5 million annually for the region, a new study reveals. The analysis was conducted by a St. Norbert College faculty-student team. The Village of Allouez commissioned the college’s Center for Business & Economic Analysis (CBEA) to conduct an economic-impact study of a conceptual plan for the Green Bay Correctional Institution (GBCI) site. Area leaders say the GBCI, which opened in 1898, needs significant renovations in order to meet current security needs, so leaders are exploring potential mixed-use development opportunities for the current location. 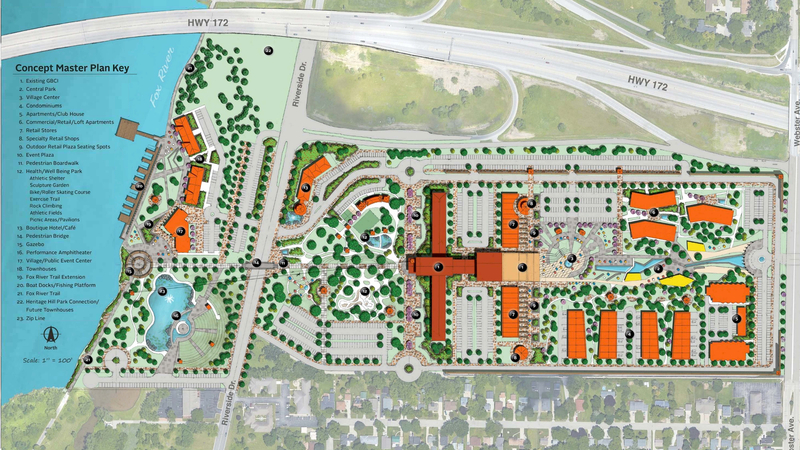 One plan to redevelop the 50-acre GBCI site, as well as an adjacent 14-acre undeveloped area owned by the Wisconsin Department of Natural Resources, includes a combination of retail shopping, commercial office space, apartments, condos and luxury duplexes, and a wide variety of community-oriented parks and recreational spaces. The plan is not a final version of redevelopment under consideration, but was used in the CBEA study to provide estimates of economic impact in terms of jobs, labor income, output and tax revenues. The study revealed that the plan could result in 1,400 additional jobs and generate $39.6 million in income and $80 million in output annually. These direct effects, along with their respective multiplier effects, suggest a total economic impact of 1,463 jobs, $59.3 million in income and $138.5 million in output on Brown County annually. The conceptual plan suggests a possible new taxable property valuation of roughly $58.9 million as a median estimate and $71 million as a high-end estimate. An alternative version of the conceptual plan that adds one more floor to the corporate and residential units and a riverside luxury condo unit creates a $100.6 million property valuation as a high-end estimate, suggesting the property valuation has greater upside potential. Using the median property valuation estimates of the original conceptual plan, this redeveloped GBCI site could create $1.1 million to $1.4 million in new tax revenue for the local government and public entities. Roughly 46 percent of that amount flows to the local school district, while the shares to the Village of Allouez, Brown County and the local technical college are 30 percent, 20 percent and 4 percent, respectively. Retail-sector entities are estimated to generate more than $49.8 million in total economic output, and hospitality-sector entities are estimated to generate almost $4.2 million in additional sales. Sales tax revenue increases are estimated to be nearly $3 million. Marc Schaffer (Economics), Sandy Odorzynski (Economics, Emerita) and Alexa (Brill) Schulze ’18 led the study for the CBEA. Schulze, an economics and sociology major, came into the project with experience in CBEA studies already under her belt. Schulze previously worked with Schaffer on a study of food insecurity in downtown Green Bay and Brown County. 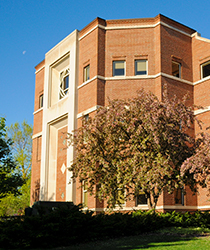 Economic-impact studies are part of the work of the Center for Business & Economic Analysis (CBEA) at St. Norbert. Whether pro bono or contract-based, CBEA projects of a regional nature serve the needs of the communities surrounding St. Norbert College. Sandy Odorzynski (Economics, Emerita) says, “They clearly serve as evidence of our commitment to the vision of the Schneider School of Business and Economics, which is to be the intellectual hub for business in northeast Wisconsin.